Topic: Adverbs. Grade: 5th. Skills: Grammar and writing. Grammar is one of the difficult parts of the language. 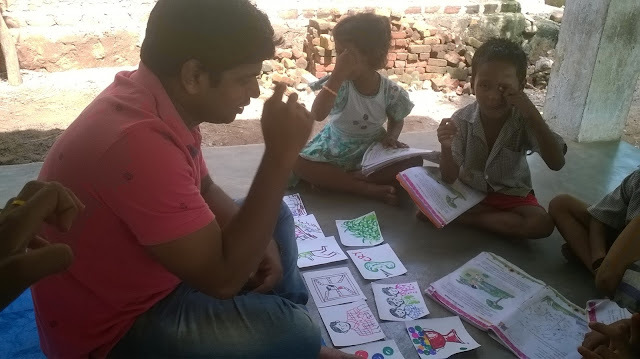 Especially teaching grammar to the primary students is a very challenging task for the teachers. So some interactive activities and methods will help them to learn and understand the grammar easily and effectively. Here is a task-based activity which I used to teach adverbs to my children. In my previous post, I had discussed a story teaching using this method. I continued the activity to teach adverbs. I have used the same picture story cards to start my class. I started my lesson by pasting the picture cards along with time. Then I asked some questions based on the story and picture cards.